Some manufacturers even find themselves saving millions by using new technology to their advantage. With more successes like these on the verge, it’s only a matter of time before we witness sustainable growth across our industry that is equal parts eco-friendly, business-savvy and forward-thinking. 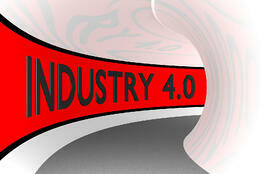 Read more about the emerging trends in Smart Manufacturing here! And register today for CNMI’s Smart Manufacturing Conference on October 15th.